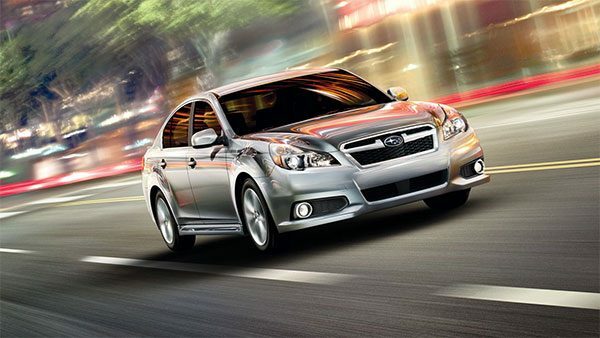 When it comes to crash prevention, Subaru is among the Elite. Rated superior to others with Subaru Eyesight technology that outperforms on the International Institute for Highway Safety (IIHS) standard testing. 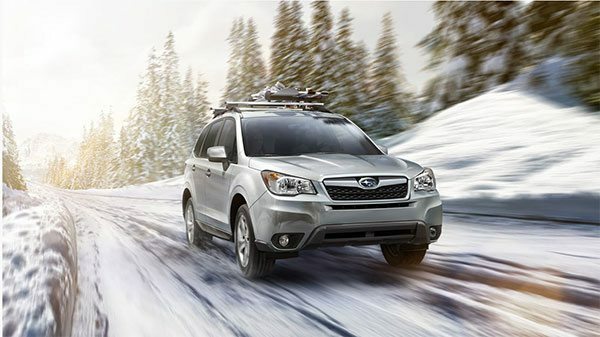 We are happy to include these as new safety options on the 2014 Outback, Legacy and Forester. One of the biggest concerns and a selling point for those that can capture it, is an upgrade to passenger safety and personal safety. IIHS is no longer just testing crash ratings, but crash prevention technology as well, where the Subaru Eyesight topped the list. It took some time but Subaru has built today’s absolute top technology in automatic braking. Now, the IIHS encourages other brands to take tips from what clearly works, as this is the best in the industry. What does it look like? Two cameras mounted by the rear-view mirror. The bundle of cameras can predict future crash probabilities. It acts as a safety net ensuring your vehicle does not come into high-impact contact with another vehicle. It essentially allows the vehicle to scan the road ahead, and react appropriately, alongside you – the driver. One of the four component safety features that the cameras monitor for is pre-collision braking. The only limits so far are at what speed it can come to an acceptable full-stop, but remarkably a collision can be completely avoided from traveling 25 kmph. It gauges the distance of upcoming vehicles for you – like another set of eyes, and can apply the brakes automatically to prevent your vehicle from rear-ending someone in the event of an unplanned stop. We can all do with a little heads-up on the road and these warnings indicate when you may be drifting by chiming a sound when you get too close to another lane. This works by the camera’s ability to identify lane markings, alerting the driver with a sound and visual cue when crossing over into the danger zone. When you’re fully stopped sometimes you can lose control for one moment sending you forward into another parked car or a car that had been accelerating and suddenly stopped. This avoids that accidental acceleration by sensing the slow-down and automatically dramatically reducing the throttle and alerting the driver. This feature maintains a set speed and will automatically adjust to keep a safe distance from the car ahead. It is also capable of bringing your vehicle to a full stop. It will then resume your settings as traffic begins to flow again. This is for when the freeway is not moving freely, at a constant pace, as it usually does. Eyesight maintains the speed of the vehicle you are following, instead of operating at one set kmph speed. This allows you to move with the traffic flow. Testing of auto-braking systems is complicated by the varying technology used by automakers, and their differing philosophies on how it should work. Some want the vehicle to slam on the brakes fast and hard. Others are more wary of false alarms, so they hold back, delaying the automatic braking to avoid taking control away from the driver. The group says that three vehicles — the BMW 3 series, Infiniti JX (now known as the QX60) and Toyota Prius V — were labeled as having automatic braking, but they barely braked before slamming into the dummy car on IIHS’ test track. In all, 74 vehicles (2013-14MY) were tested. Subaru’s Legacy sedan and Outback crossover were among the seven vehicles that received the “highest” possible rating of “Superior” when equipped with optional autobrake and forward collision warning systems. The 13MY/14MY Legacy and Outback were the only vehicles that received the highest possible score of six points. Subaru EyeSight, on the other hand, worked better than advertised. EyeSight uses two charge-coupled device (CCD) cameras developed by Subaru. The camera’s are mounted inside the car on the upper edge of the windshield. This placement reduces the potential for damage that could occur in bumper-mounted systems, such as radar. The EyeSight system processes stereo images to identify the vehicles traveling in front. It also identifies obstacles, traffic lanes and other items. The video information is relayed to the EyeSight computer. It’s also networked with the car’s braking system and electronic throttle control. Below speeds of approximately 19mph, EyeSight is capable of detecting pedestrians in the vehicle’s path. It can then activate to mitigate or even avoid the collision. Under certain circumstances, EyeSight is able to bring the car to a complete stop, thus avoiding a collision. Check out this AutoBlog article.